It's almost the end of the month which means it's obviously a monthly favourites post. It feels like yesterday since my April favourites and time is flying which means it's closer to my holiday, so I'm not complaining! 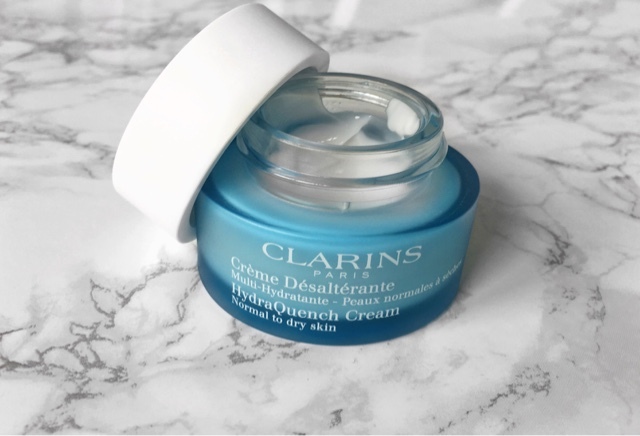 My first favourite is the Clarins Hydraquench Cream, if you read my skincare routine post (click here if you haven't!) then you'll know how much I love this. I've tried many different moisturisers from more affordable brands to higher end brands too but this one is definitely my all time favourite. It smells beautiful, it sinks right into my skin and I wake up with the softest skin - it's basically an ice cold pint of water for my thirsty skin! This is my second batch of using this moisturiser and using it the second time now made me realise how much I liked it the first time. Next up is the Morphe 35O palette. I've had this palette since around November last year so I've had it a long time and I do love it but I just kept forgetting to reach for it as I was using other brands such as Makeup Geek. However, towards the beginning of this month I thought to myself I'm going to do an eyeshadow look using only the 35O palette and now I can't stop! 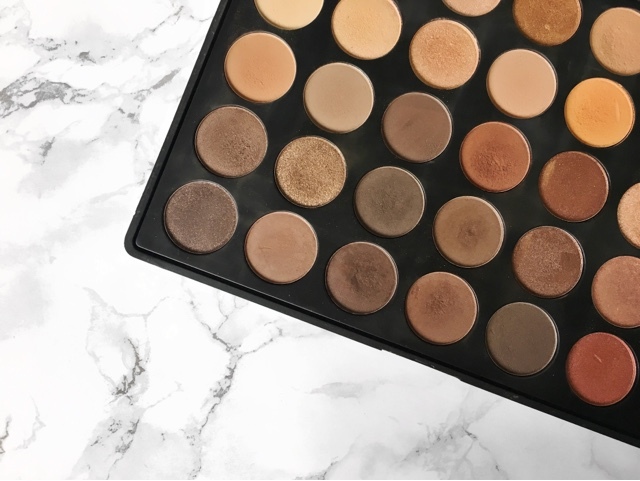 I find myself reaching for this everyday it has everything you need from a base shadow, transition colours, warm tones (even a few cool tones), shimmers and inner corner highlight colours - the possibilities are endless! 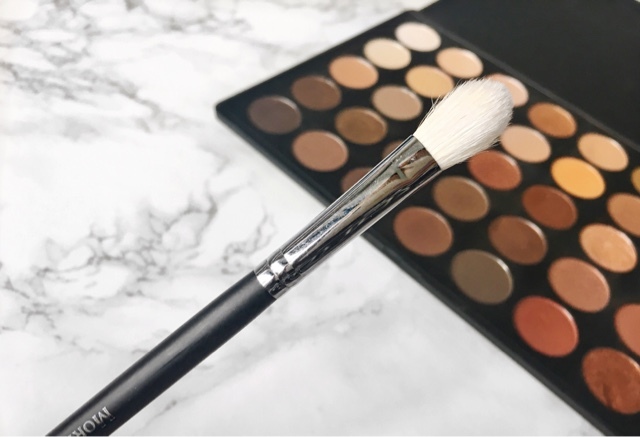 Last but not least in this months favourites is the Morphe M521 brush. If you follow me on instagram (rebeccacapel) you will have seen a recent splurge of spotlight/halo eyeshadow looks. 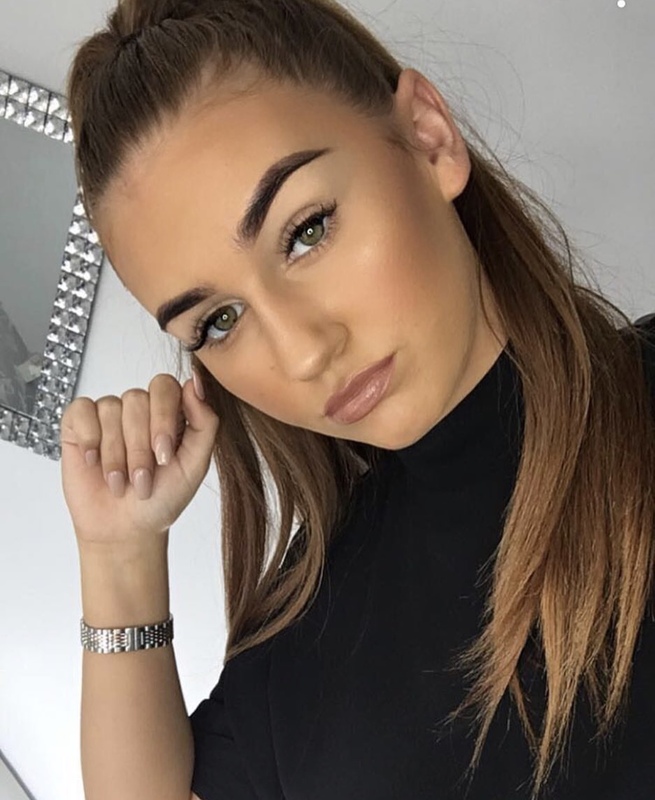 I personally think that a halo/spotlight eyeshadow look is really flattering and something a little different from your average smokey eye. This brush works miracles for me for this particular type of eyeshadow look as the brush is pinched at the base so although it is a blending brush its flatter than, for example, a MAC 217 which means that it's perfect for packing on colour seemlessly on the inner and outer corners of the eye for that spotlight eyeshadow look. What's best is this brush was so cheap compared to other brands and there was no compromise on quality, I purchased mine on BeautyBay.com i'll leave a link just here. That's all for my May favourites! 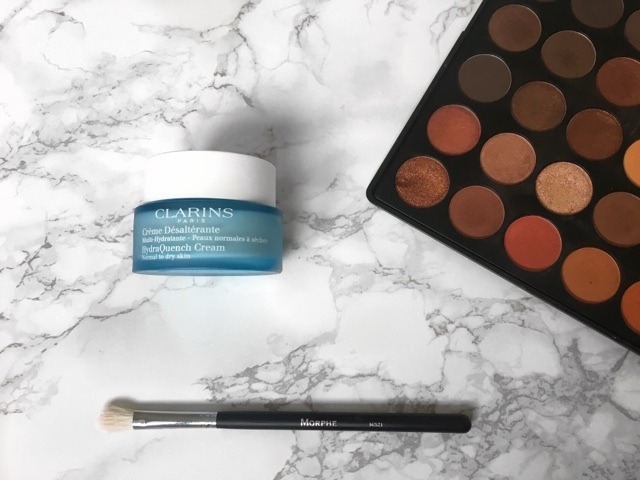 Let me know what your favourites were in the comments or let me know how you feel about any of the products I have mentioned today in this post! See you soon!